The Slovakian, 30, appealed to an independent panel set up by the FA to review video footage of the incident, citing that his action was accidental and not premeditated. The panel rejected Skrtel’s submission and ruled the charge of violent conduct proven. He will now miss league games at Arsenal and at home to Newcastle United either side of the FA Cup quarter-final replay at Championship side Blackburn. 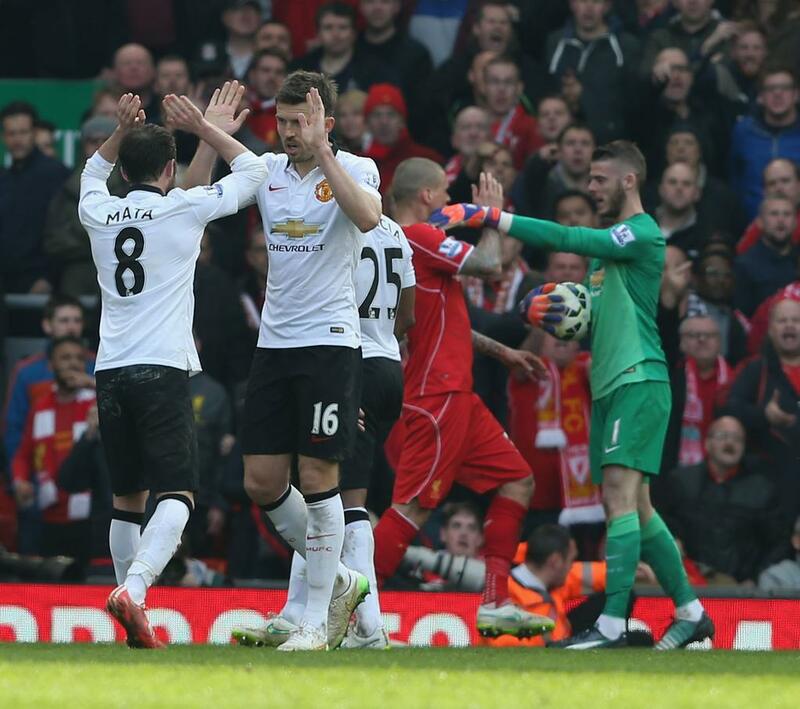 David de Gea Enraged With Martin Skrtel after the Defender Appeared to Stamp on His Legs. Image: EPA. “Liverpool’s Martin Skrtel will serve a three-match suspension with immediate effect after a charge of violent conduct against him was found proven,” the FA said in a statement on its website. Referee Martin Atkinson missed the incident, which happened in the closing seconds of his side’s 2-1 defeat by United. Uefa Unveils Top Three: Who is the Best Player in Europe? Champions League Results: Ronaldo’s Hat-Trick Sinks Galatasaray in Istanbul.